We got back last Monday from our California trip. We were gone 10 days, in which we spent three of them at Disneyland. I thought I would share some tips that we learned. 1. Free Water Cups : Save your money and don’t buy bottled water throughout the park. All the food kiosks and restaurants will give cups of water out for free. We took advantage of this through both California Adventure and Disneyland. 2. Pressed Penny Map : A cheap way to have souvenirs (which our little guy loved) was to get pressed pennies at different locations throughout the park. Most of the stations are located in stores but there are a few outside (especially in Disneyland) by rides. In California Adventure, they have a pressed penny map where you can see where all the penny stations are. We treated this as a treasure map and it was fun hunting the different stations down. Not all employees knew about this free map, so you might have to ask around to find it. We got ours at a store in Cars Land. Oh, and the maps are free and the pressed pennies are .51 each time. 3. Glowlights/Sticks : Save your money and pack one from home. You might call me cheap here, but I had some glow bracelets that I packed (unknowingly to the little guy). I pulled them out at nighttime at Disneyland when all the little kiosks were selling their large light up toys and necklaces. You can buy a little bag of glowing necklaces before your trip for $1 and they fit really easily into your purse. Instead of saying “no” to spending the extra money on what other kids had, we were able to say “yes”. It was just something small that made our little guy’s night. 4. Take snacks and bottled drinks : I’m not sure what the actual policy on this is, but we took (and I saw lots of other people do the same) snacks and drinks in every time. They go through your bag but it was not a problem. This way, we had some snacks for the longer rides and a healthier option for in-between times. 5. Magic Morning / Fireworks Schedule : We had hiccups with both “Magic Morning” and the nightly fireworks at Disneyland. My advice here is to do your homework to see what days the magic morning is available and if the fireworks are going on the night you plan to stay. Because we went in off-season (which was amazing for the crowd! ), not all things were going every day. 6. Take a break by leaving : We stayed off the resort (in a non-Disney hotel) which was about a mile from the parks. We used Disney’s parking and shuttle and still left for naps. You can come and go in the park (get your hand-stamped and bring back your ticket) as well as the parking lot (just keep your ticket). This was great for all of us to decompress. We left each day about 1pm, went and grabbed lunch and then went to the hotel for a nap. We went back around 6pm and stayed ’till 9pm. It may seem like we missed a lot of time at the park, but taking a break was vital to a successful trip for us. 7. Fast Passes : Because we were with our little guy (who is 4), most of the rides he rode did not require fast passes. Also, the parks weren’t busy because we were traveling during off-season. The big exception to this was California Racers… which was AMAZING! Hands-down best ride I’ve ever ridden and that sentiment was echoed by everyone in the group. 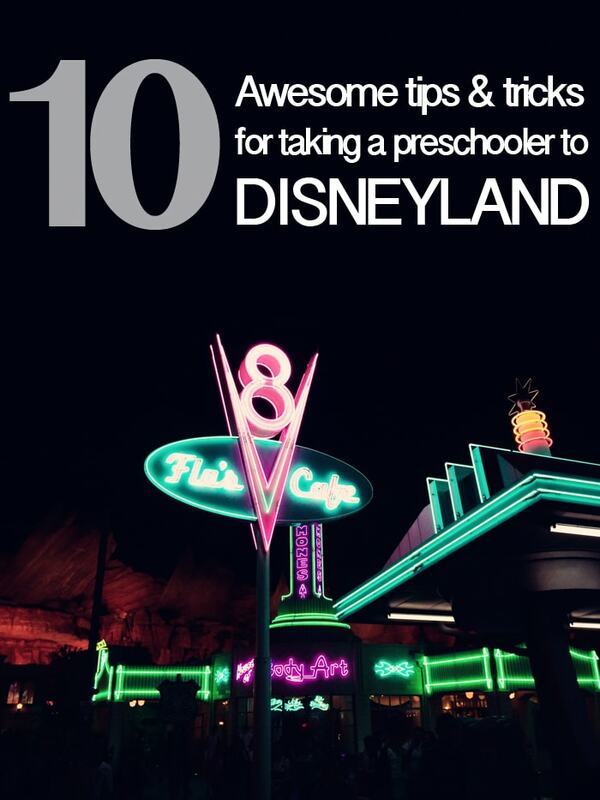 Best advice here is to grab a fast pass immediately upon arrival to the park. It definitely worked best for us to arrive at the park 20 min. before it opened. You can arrive early and go through the turnstiles. They let everyone go in by the shops and then you wait in the center area for a bit. When the park opens, you are with a crowd of people, but immediately go right in and on your left is the fast pass line for the racers. Get in line. We stood in line for ten minutes and got fast passes for the following hour. This was definitely the way to go. 8. Cozy Cone Churros : Hmm, churros with chocolate sauce. Enough said, go get these. We had them twice in one day! 9. Autographs : All the characters will give you autographs. We were able to save some money by bringing an “autograph” (a Target $1 spot bound small notebook) book from home with us. 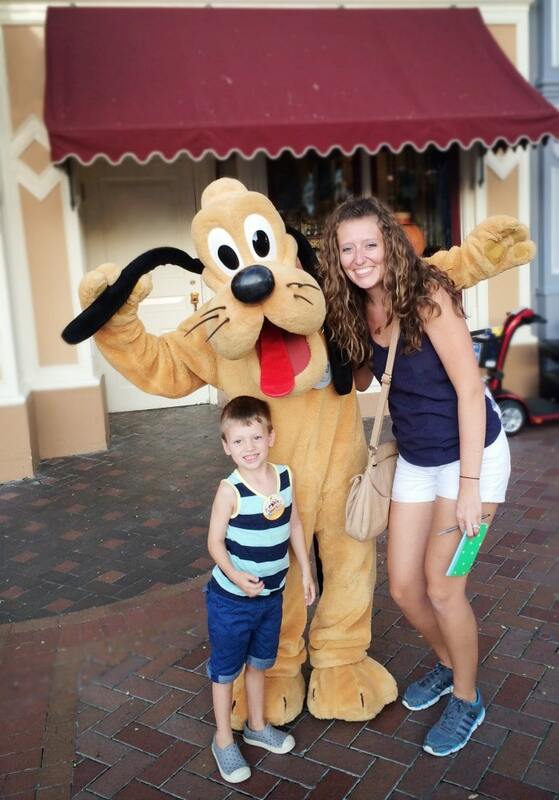 I pulled it out the first time we got in line to get our pictures taken with the characters. This is another cheap souvenir/experience that made the trip more special. If you forget to take an autograph book with you, you can buy them at most of the stores. 10. 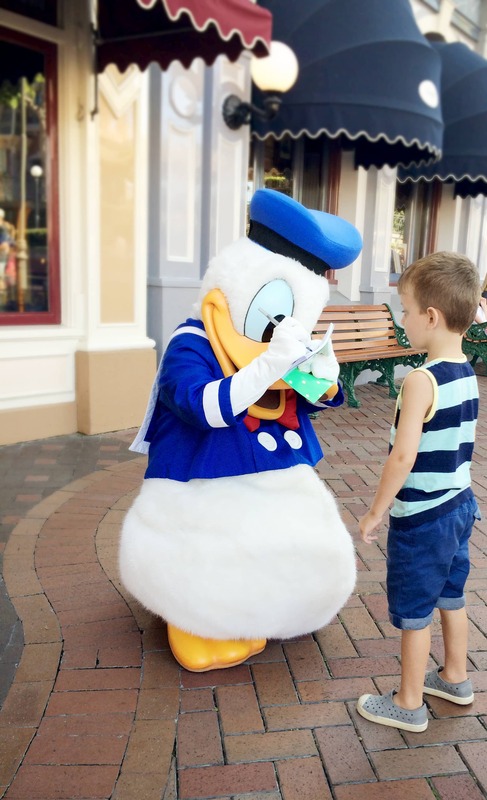 Pictures with Characters : Our little guy LOVED taking pictures with the characters. He thought they were real which made it so fun/cute. Our advice here is don’t feel bad taking pictures with your phone or camera. The photographer for each character is used to this. They take pictures as well and will give you a photo pass (to view their pictures), but it’s not a big deal at all to take your own. Also, they will even take a picture of your group with the character with your own device. Again, this is normal… so do it. It will save you lots of money to have the picture you want on your own device. Hope you got something out of our tips. These were definitely geared to a family with a toddler (which we are!). C.R.A.F.T., Restless Arrow, The Makers, The DIY’ers, The Winthrop Chronicles, Home Stories A-Z, Hit Me With Your Best Shot, Work It Wednesday, Fry Sauce and Grits, Liz Marie Blog, The Inspiration Gallery, Creativity Unleashed – The Bold Abode, Remodelaholic, Whipperberry, The Creative Collection, Tatertots and Jello, Link It or Lump It, and Frugal Crafty Blog Hop.